From the new Tsinghua School of Tsinghua University to the 1895 Creative Building of Tianjin University, from the Shanghai World Expo Park to the Guangzhou East Tower, which is 530 meters high, how many people have been shocked by the strong artistic beauty of the ceramic façade? 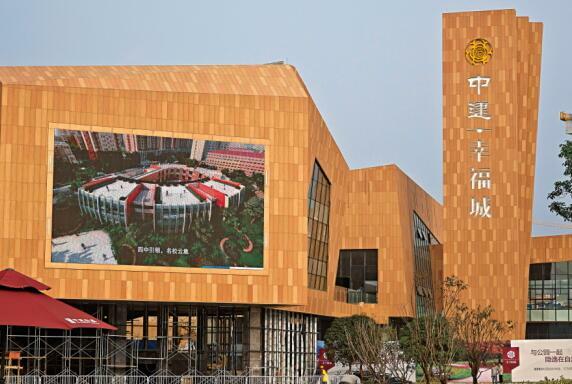 What is the charm of Ceramic Rainscreen Panels? It is worth noting that compared with the traditional tile production process, the same unit ceramic plate production can save 30% of water, save 20% of electricity consumption, and save gas by 30%. If the ceramic board is a green product from the production process, is this not in line with the current ceramic industry's pursuit of both decorative and energy-saving products? 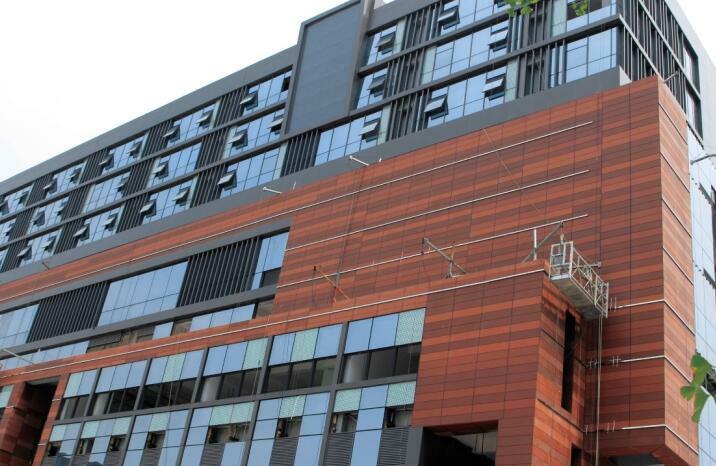 The industry is more concerned about the sales status of Ceramic Rainscreen Panels, but the reporter found through interviews that the technology, production equipment, standard regulations, dry hanging methods, etc. of Ceramic Rainscreen Panels all contain the marketing and popularization of Ceramic Rainscreen Panels. The development of Ceramic Rainscreen Panels originated in Germany. 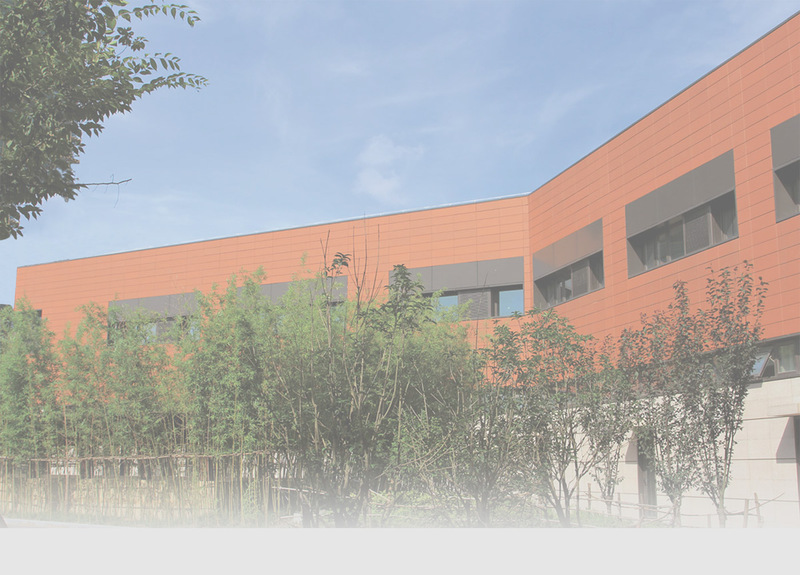 In 2005, Ceramic Rainscreen Panels began to prepare for development in China, and in 2006, independent research and development and production began. Although the ceramic plate started late in China, it has a good performance in terms of production scale and product quality. According to incomplete statistics, there are currently more than 30 ceramic plate production lines. More than 10 companies in the country are engaged in the research and development and production of Ceramic Rainscreen Panels. The enterprises in Fujian and Jiangsu and Zhejiang account for 70%, including Fujian LOPO Terracotta Manufacturing Co., Ltd. (hereinafter referred to as “LOPO” "), Wanli (China) Solar Technology Co., Ltd. (hereinafter referred to as "Wanli"), Jinjiang Tengda Ceramics Co., Ltd., Xinjiali (Jiangsu) Ceramics Co., Ltd. (hereinafter referred to as "Xin Jiali"), Zhejiang Ruigao Building Materials Co., Ltd. Company, Zhejiang Anke Ceramic Board Co., Ltd., etc. The main reason is that the cultural atmosphere in the above-mentioned areas is heavy, and the local people have a greater acceptance of the Ceramic Rainscreen Panels with simple surfaces and bright colors. Taking Xinjiali and LOPO as examples, it is understood that Xinjiali is the first enterprise in China to adopt an imported ceramic board production line. At present, there are two complete sets of ceramic board production lines imported from Germany and Italy. Xue Shaofang, general manager of Xinjiali Market, told the reporter that the company's ceramic plate products can be up to 900mm wide, up to 1800mm, and designed to have an annual production capacity of 1.5 million square meters. According to Wu Hao, director of marketing of LOPO TOB ceramic board, the current output of TOB pottery board is nearly 10,000 square meters, and the annual output is 3 million square meters. 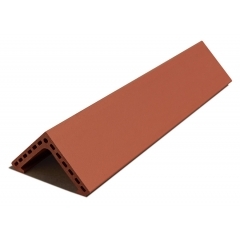 The Group pioneered the automatic roller road circulation line, from extrusion to firing, the full CNC rolling speed of the machine, reducing the deformation of the blank caused by manual or mechanical movement, in order to prevent the flatness of the terracotta panel from being affected. "China's current ceramic plate technology, production equipment and other aspects have been very mature." Jiang Zhiping, general manager and chief engineer of Jiangsu Mingwu New Materials Co., Ltd. said. The production process of Ceramic Rainscreen Panels is roughly divided into raw material mining, raw material crushing, batching, stirring, stale, extrusion molding, drying, firing, cutting and packaging. Zhong Lusheng, director of the Guangdong Modna Technology Co., Ltd. (hereinafter referred to as “Modena”) test center, said: “Formulation, raw materials and drying are the three most critical aspects in the production of Ceramic Rainscreen Panels.” Compared to dry-formed ceramic products, The ceramic plate is formed by wet molding, and its production is difficult. It is mainly reflected in various aspects such as formula research and development, raw material processing, wet forming, drying and firing. "Determining the high quality of Ceramic Rainscreen Panels lies in the control and selection of raw materials." Xue Shaofang told reporters that because the raw materials of Ceramic Rainscreen Panels generally do not use the ball-milling spray drying process, but the dry grinding and water mixing process, the purity of raw materials is high. Any impurities, organic matter and pollutants must be strictly controlled, and the raw materials must be strictly inspected. Otherwise, the production of high-quality Ceramic Rainscreen Panels is an empty talk. According to Jiang Zhiping, it is best to use Ili stone lithology material for the selection of raw materials. This material is more suitable for extrusion molding, while kaolinite and Montestone materials can be used as additional materials. Wan Peng, general manager of Foshan Zhongpeng Machinery Co., Ltd. (hereinafter referred to as “Zhongpeng”), said that since the ceramic plate is wet extruded by a vacuum screw extruder, the blank is required to have sufficient plasticity, usually having a plasticity index of at least 12. Otherwise, the green body is liable to form defects such as cracking and deformation during the drying process. However, Jiang Zhiping said that some ceramic enterprises have some misunderstandings in the selection of raw materials. 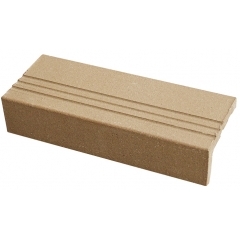 “Some companies have used the experience of splitting brick forming technology and used a lot of plastic materials, but in fact, under the premise of ensuring the molding performance and the strength of the green body, the lower the plasticity, the better the plasticity of the raw materials is not conducive to the extrusion. Forming is also not conducive to drying and firing." As a basic part of the production process of Ceramic Rainscreen Panels, raw material preparation mainly uses dry milling technology, which is relatively mature. The powder is first exposed to the sun and dried, and then subjected to primary crushing and secondary crushing by a jaw crusher hammer crusher, and a fine powder having a fineness is obtained by using a Raymond machine. After the raw materials are prepared, the ingredients are automatically compounded (dry mixing), water is added to form wet powder, granulated and stale, and finally extruded. From 2006, Modena, which developed the production equipment for Ceramic Rainscreen Panels, developed a batch planetary ball mill for the problem of uniform mixing of Ceramic Rainscreen Panels. The equipment is suitable for clay, ceramic powder and loose materials. The working mechanism is to mix raw materials of various densities to obtain a uniform mixture. For mixers of several different sizes and materials (stainless steel or plain steel), the output varies from 50kg/time to 2000kg/time, equivalent to a production of 600-24000kg/h. The unit is also available with an automatic watering device. Although the preparation of raw materials is one of the key processes in the production of Ceramic Rainscreen Panels, the reporter learned that because the current raw material standards are not uniform, and each manufacturer handles raw materials differently, such as Xinjiali and LOPO, which have the ability to manufacture raw materials themselves. It is possible to supervise and control the entire production process in person; it is impossible to strictly control production by entrusting other enterprises to process raw materials. On the other hand, the pottery board uses the color of the raw material itself to develop color. The color is the natural color of the clay after high temperature firing (without any paint and glaze coating), usually three colors of red, yellow and gray. "This requires the relevant R & D personnel to have a certain understanding of the characteristics of the clay itself." Zhong Lusheng said. The ceramic plate is large and thick, and it is a hollow structure. 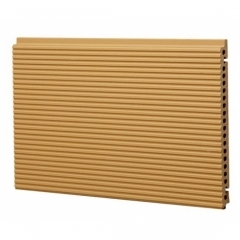 It not only has strict requirements on the flatness of the product, but also has a complicated force during extrusion. Wan Peng told reporters that the extruder for the production of Ceramic Rainscreen Panels must meet at least three requirements: First, the efficiency of the extruder should be high, otherwise the mud will be rotated in the mud tank and the heat will not be squeezed out; the second is the pressure of the extruder. If the pressure of the extruder is insufficient, the strength of the extruded wet blank is low, and it is easy to deform when entering the drying kiln, and cracking is easy. Third, the pressure of the extruder on the cross section is uniform, otherwise the extruded wet brick body will be Distorted or even cracked due to uneven shrinkage. The above three points are both the requirements of the extruder and the difficulty. “Ceramic plate extrusion equipment mainly relies on foreign imports.” Jiang Zhiping said. It is understood that most of the extruders in China are imported from Germany and Italy. Most of the extruders manufactured in China cannot guarantee continuous production for the time being. However, Modena has taken a solid step in this regard, Modena and Italy OMG jointly launched the EKK4500 extruder. Due to the finer grain size and smaller extrusion volume of the ceramic plate, there is a higher requirement for the speed and extrusion size of the sludge. The working speed of the extruder should not be too fast, otherwise the extruded body is easily deformed. The working speed of EKK4500 extruder is 0.8-16 m/min, the operation is relatively stable, and the product quality is also guaranteed. In August last year, Modena used this equipment to test new Ceramic Rainscreen Panels for Ina Building Materials in Japan. "In terms of drying, the drying of wet blanks is difficult. Drying should ensure uniformity of humidity and temperature field." Wan Peng said that the wet moisture of Ceramic Rainscreen Panels is relatively high, usually up to 16.8%-19.7%. If the drying system is unreasonable, If the drying cycle is too fast, cracking is likely to occur. Zhong Lusheng also said that because the ceramic wet slab is dried to a moisture content of 1%, the water content varies widely, and the possibility of cracking and deformation of the green body is increased. Therefore, the conventional drying kiln cannot meet this production requirement. It is understood that conventional drying kiln usually only dry bodies with a moisture content of 8%. The drying time of the ceramic plate is 2-2.5 hours, which is twice as long as the traditional drying time. If a single-layer dryer is used, the length is 20-30 meters longer than the traditional drying kiln, so Modena developed a multi-layer with independent property rights. Roller dryers to meet the special requirements of drying Ceramic Rainscreen Panels. At present, there are two main methods for drying Ceramic Rainscreen Panels: the first is drying in the drying room and the second is drying in the roller. Drying in drying room is not as dry as roller conveyor in terms of dry air flow and temperature uniformity, so the drying cycle is relatively long and the efficiency is low; the roller-type dryer equipment is relatively complicated and the investment is large, and its one-time investment even exceeds the supporting Kiln, but due to temperature, humidity, airflow, price, wind pressure and other distribution uniformity, high drying efficiency, is currently the mainstream of ceramic plate dryer. The dryer mainly dries the extruded high-temperature ceramic plate. Because the humidity of the ceramic plate is high, the drying cycle is also long. Therefore, the low temperature and high humidity are used to prevent cracking in the front part of the drying, and the dry left. The supply and exhaust of the middle and right sides need to be very uniform. Zhongpeng's drying equipment has unique design on these two points. According to interviews, Zhongpeng's dryers and kilns have been settled in Wanli and Shanxi Jinyu New Building Materials Co., Ltd. In view of the high humidity and long drying cycle of the ceramic plate, Modena developed the IG rapid drying kiln with high drying efficiency and short drying cycle. The device is designed for high moisture (16%-20%), large-size extruded clay products, and can adapt to specifications of 200-450 (mm) width x 600-1800 (mm) length x thickness 15-50 (mm); Internal self-circulation, the unit heat consumption is as low as 1000-1500kcal/kg water (calculated by the heat required for the product to evaporate water); it can be fully automated from the extrusion of the blank to the product burning, saving energy and material resources and reducing process losses; The multi-layer structure makes efficient use of plant space and saves land investment. It is understood that the equipment has occupied 80% of the market for drying Ceramic Rainscreen Panels, and is used in enterprises such as LOPO and Wanli. According to Zhong Lusheng, the IG rapid drying kiln has three adjustment methods: humidity control, temperature control, and pressure control. In terms of humidity control, it has a self-circulating device, so that the dry residual heat and the self-evaporating water vapor of the body enter the kiln, the saturated water will not dry so fast, and the fuel is saved more. The temperature control keeps the kiln always high temperature and high humidity, making the temperature “焖” is in the kiln; pressure control keeps the pressure from being too large, prevents product deformation, and maintains a smooth and stable condition. In the fired portion after drying, the principle is basically similar to that of a conventional roller kiln. However, considering the large size of the ceramic plate, the flatness of the product is more difficult than the control of the tile. 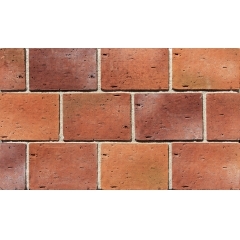 Therefore, Zhongpeng has made great efforts in the temperature difference between the drive brick and the kiln to ensure the stability of the equipment. In order to ensure a better firing effect, the cooling system of the MHC series roller kiln launched by Modena can ensure that the slab is cracked during the cooling process without uneven cooling. The equipment uses MDR energy-saving combustion technology, which can make full use of the heat generated by the cooling of the MHC kiln, effectively increase the kiln combustion air temperature to 120 ° C -150 ° C, so that the kiln energy saving 8%. 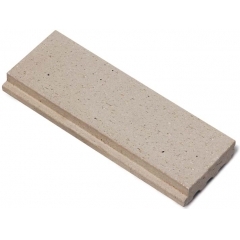 Due to the special hollow structure design, the ceramic board not only has the external wall decoration effect, but also has the wall insulation and energy saving function. The ceramic plate curtain wall is known as the most promising sunrise industry in architectural ceramics due to its environmental quality and good market prospects. "In the next 10-20 years, this industry will continue to develop rapidly." Jiang Zhiping predicted. Jiang Zhiping pointed out that in the past two years, there has been a short-term oversupply phenomenon in China's Ceramic Rainscreen Panels. On the one hand, it is because of the economic downturn and the real estate regulation and control, the promotion of Ceramic Rainscreen Panels has been hindered. On the other hand, many companies have flocked to the Ma Tao board production line, but the market penetration is still small. According to incomplete statistics, the market capacity of curtain wall materials is at least 200 billion yuan per year. 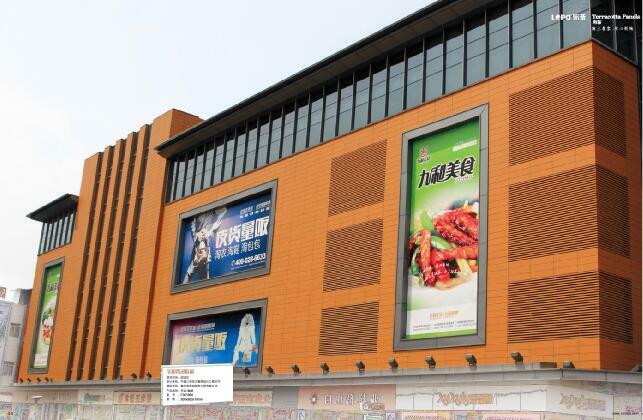 In 2011, the sales of Ceramic Rainscreen Panels in the country did not exceed 900 million yuan. "The pottery market still needs 2-3 years of training time." Every new product is introduced to the market and matures, and it is inseparable from the formulation and standardization of standards. The national standard for dry-hanging hollow Ceramic Rainscreen Panels (GB/T27972-2011) drafted and prepared by LOPO, stipulates the definition, terminology, technical requirements, test methods, inspection rules, etc. of dry-hanging hollow Ceramic Rainscreen Panels, and clarifies the Various physical and chemical indicators have perfected the standard system of "dry-hanging hollow Ceramic Rainscreen Panels", which will play an important role in regulating and guiding the production of Ceramic Rainscreen Panels enterprises. From the National Standard for Building Curtain Wall (GB/T21086-2007) released in 2007 (including Ceramic Rainscreen Panels), to the national standard for dry-hanging hollow Ceramic Rainscreen Panels (GB/T27972-2011) to be implemented in October this year, each time The new standards are supplements, improvements and improvements to the previous standards, and thus have a good effect on the development of technology and equipment for Ceramic Rainscreen Panels. Xue Shaofang revealed that Xin Jiali also participated in the drafting of the national standard for "sintered decorative board" at the invitation of the National Wall Materials Committee. This standard will be released around October this year and will be implemented in the middle of next year. “The biggest bottleneck in the development of Ceramic Rainscreen Panels is not the Ceramic Rainscreen Panels themselves, but the large number of metal accessories that are required for the installation of Ceramic Rainscreen Panels.” Wan Peng said that these accessories account for most of the cost of using Ceramic Rainscreen Panels, and the future Ceramic Rainscreen Panels are used in dry hanging technology. Breakthroughs are especially important. For a product, whether it is its production process or application process, it affects its development. For Ceramic Rainscreen Panels, the application process is dry hanging.